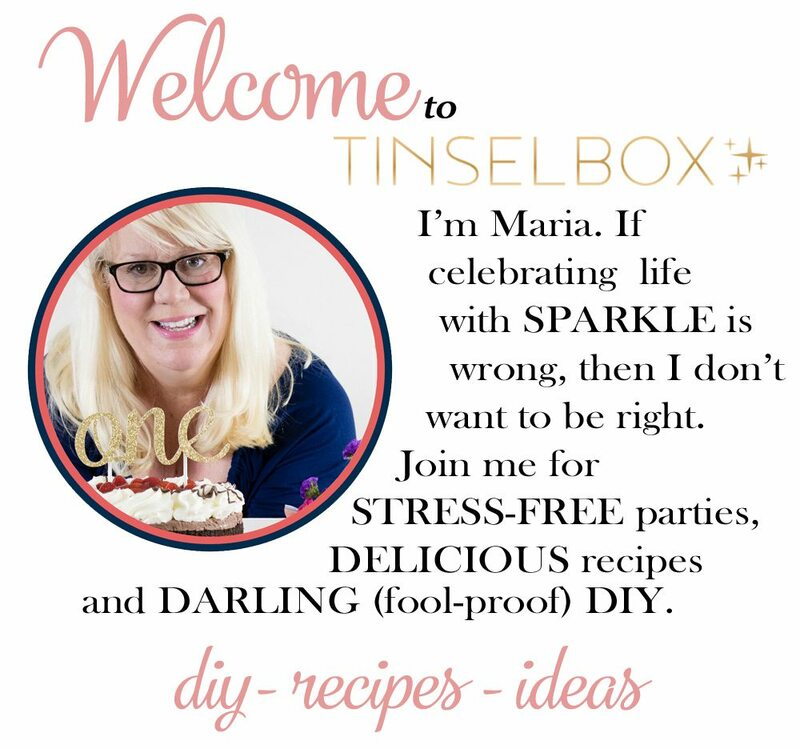 This party by M&J Kreations is a like dream your heart makes. My heart goes pitter-patter like the sounds of mice running through the tower to help me sew a dress for the ball. I mean for Cinderella’s ball. 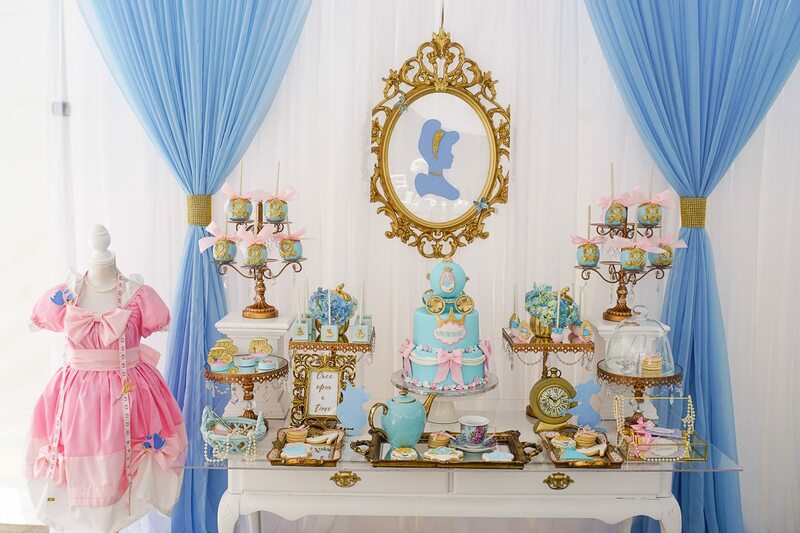 Cinderella was always a favorite Disney movie growing up, so this Cinderella party made five-year-old-me very envious. 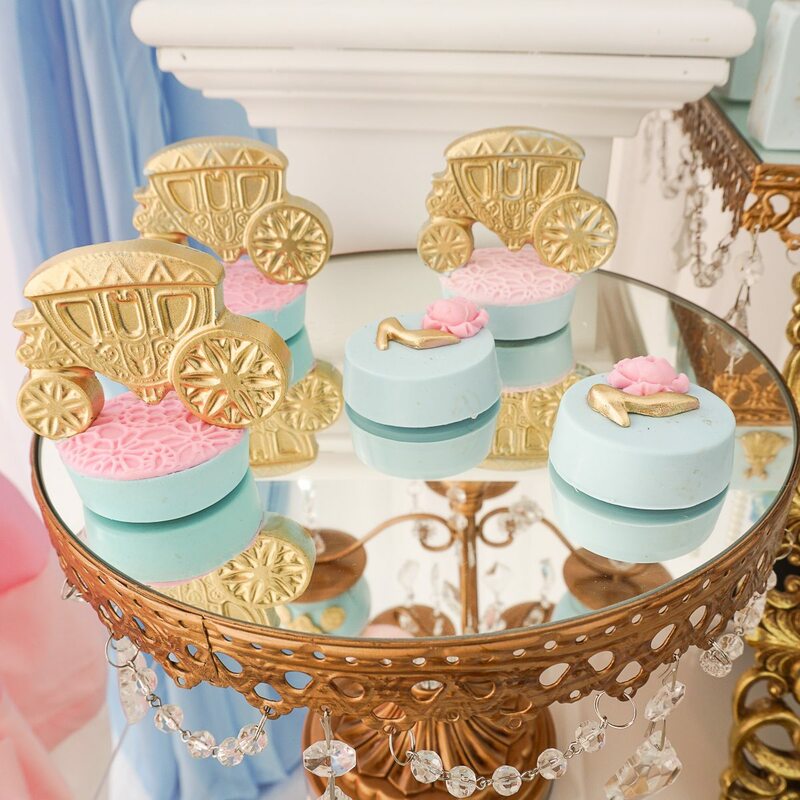 This party is elegant, dreamy and filled with beautiful details in pink, baby blue and gold. 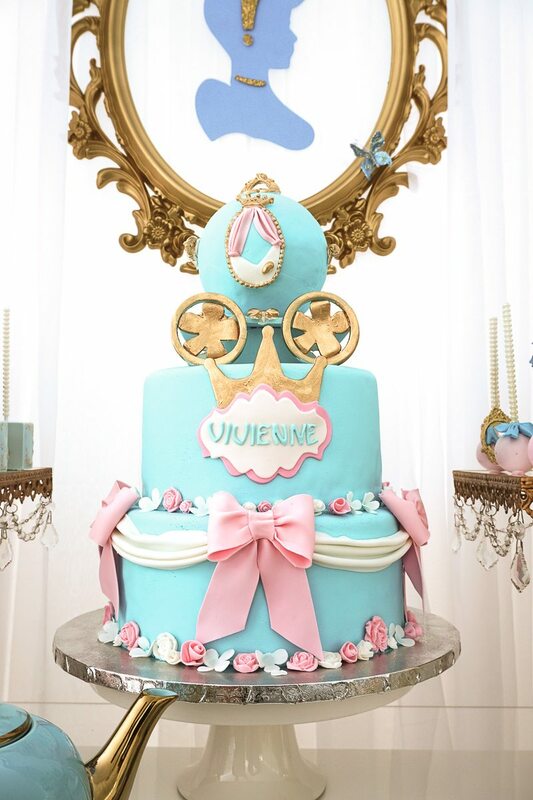 This first birthday party was truly fit for one very lucky princess! 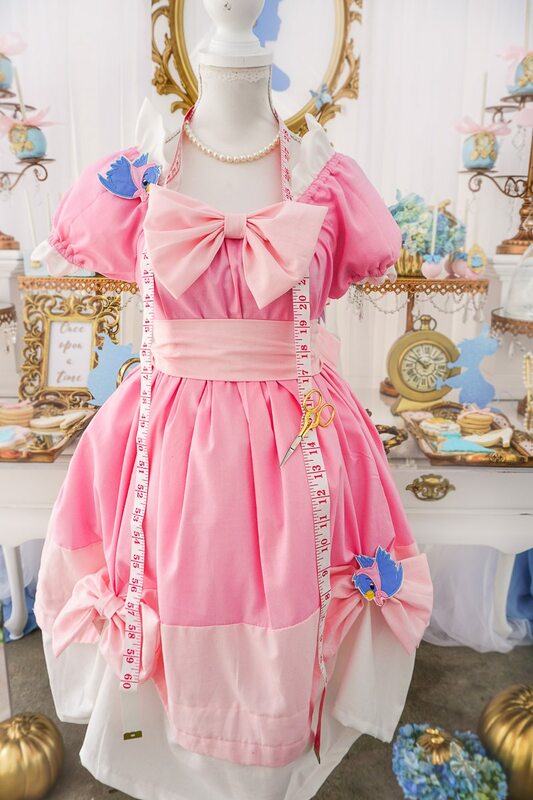 One of my favorite moments is the pretty dress with sewing scissors and tape measure. The beautiful dress was created by Candee from Fairy Godmother Creations. Beautifully decorated, hand crafted chocolate covered Oreos can do wonders for a party. These are by Sugar Studio and are almost too stunning to eat. Almost. 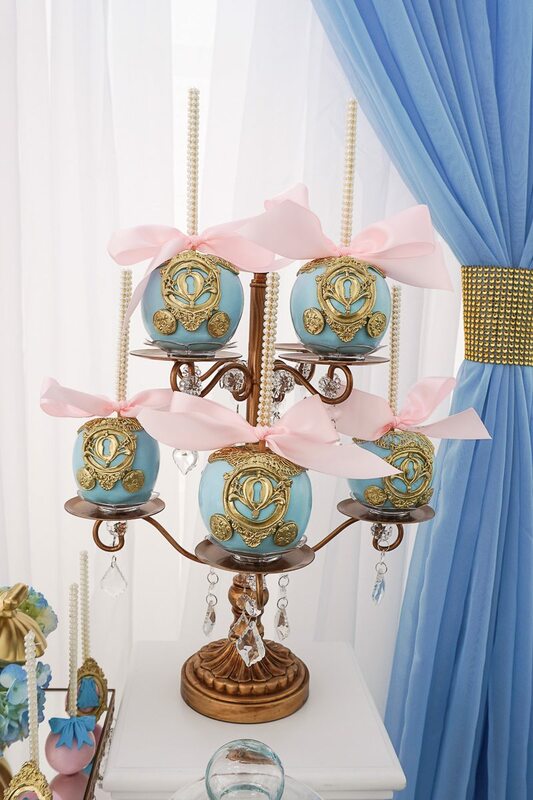 Sweets by Rosario Beltran from Sugar Studio also added to the dessert table these amazing candy apples. You can’t even tell these are apples with the blue candy coating and gold details. 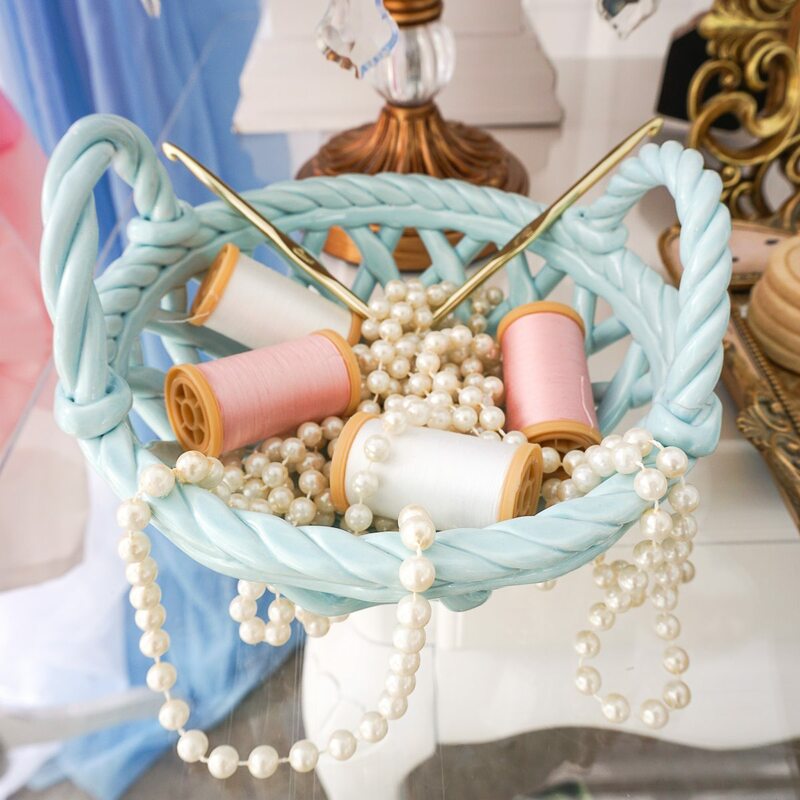 Just look at the styling of this table. M&J Kreations pulled everything together and set all this up with such a magical touch. 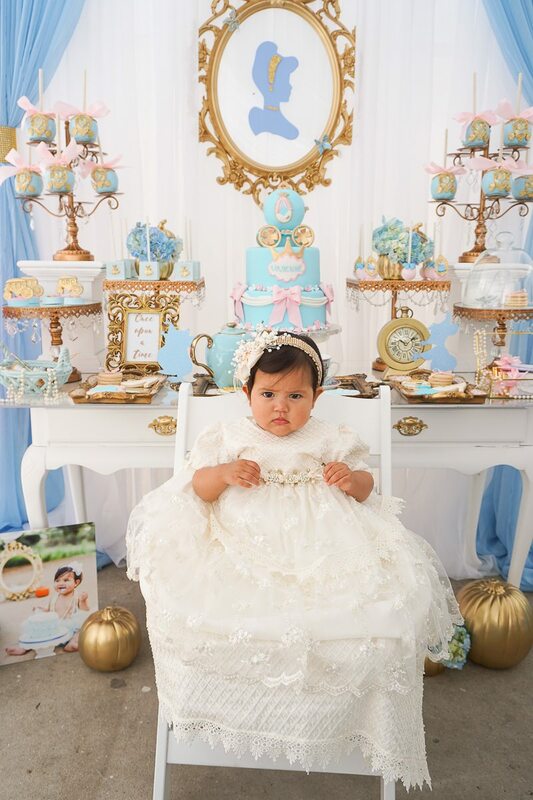 Her parties are completely original and not to forget… crazy beautiful. The floral centerpieces by Carmen at MDC Flowers, set inside shiny gold pumpkins, are the perfect accompaniment to the desserts. 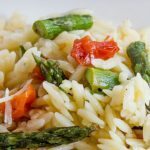 Don’t forget these candied rice crispy treats with gold dress details. 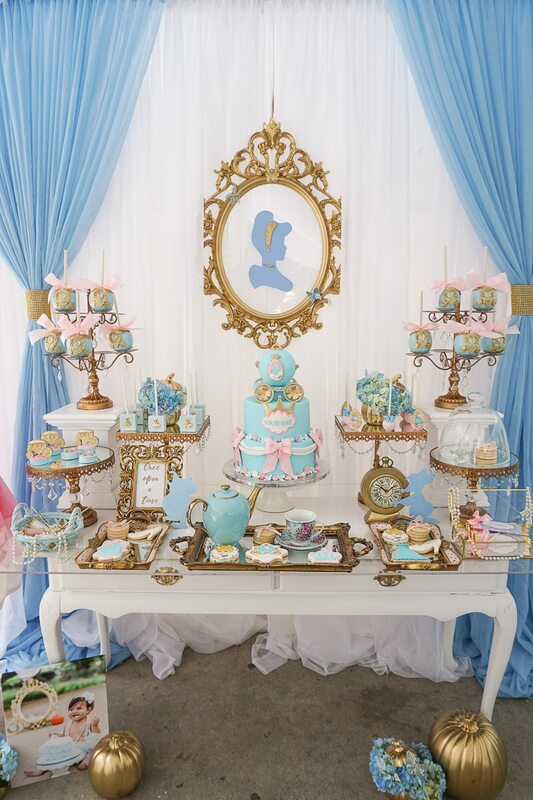 This party was for a little girl’s first birthday party, but can easily work for a princess of any age. Here is the pretty birthday princess, celebrating her 1st birthday. Congratulations to this sweet girl and her parents. You made it! 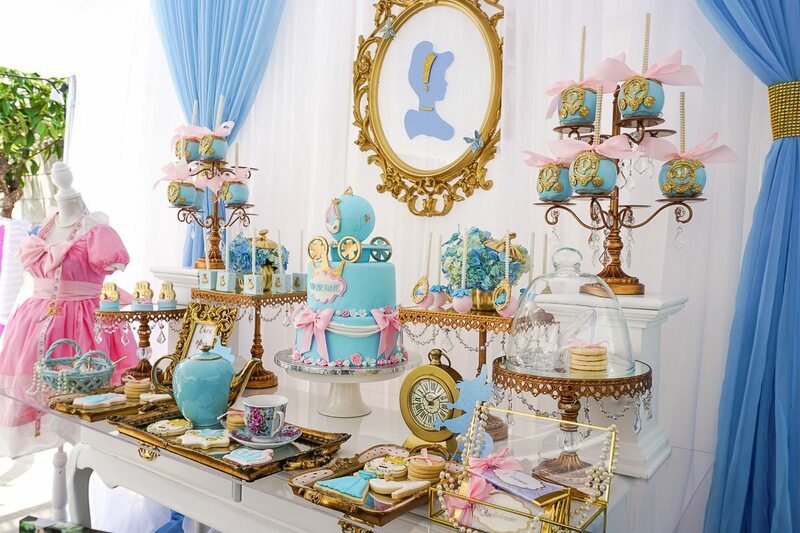 Did you find some inspiration for your princess party? We sure hope so. 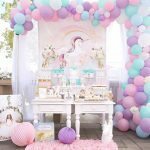 Thank you to M&J Kreations for letting us share this dreamy party. Make sure to check out all of their events over their Facebook page. Wow, what a beautiful party set up! This presentation is just gorgeous!! This is stunning! 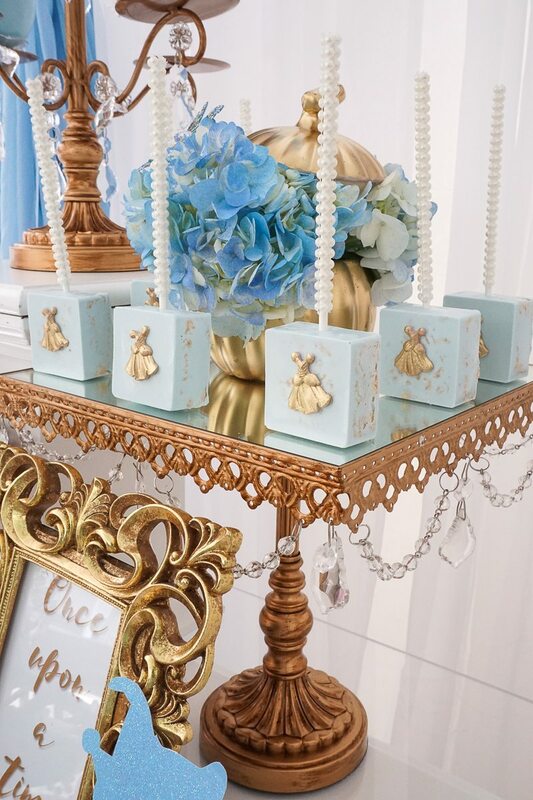 I love all the details – beautiful! 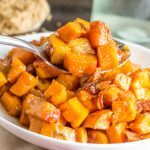 Everything here is done perfectly! Any girl would love to have this for a birthday party! That has got to be the most amazing theme party I have ever seen. Adding to my Pinterest queue. I’d love for you to join our link up To Grandmas House We Go. It opens Tuesday nights around 11pm ET. Wow, that is one stunning setup! Such epic attention to detail too. I love it!